Audit. 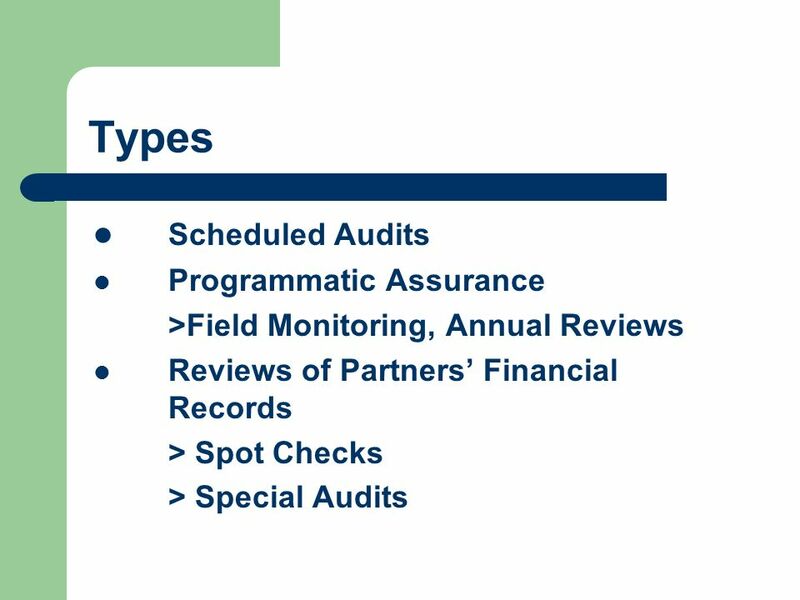 Types Scheduled Audits Programmatic Assurance >Field Monitoring, Annual Reviews Reviews of Partners Financial Records > Spot Checks > Special Audits. 11 Questions? 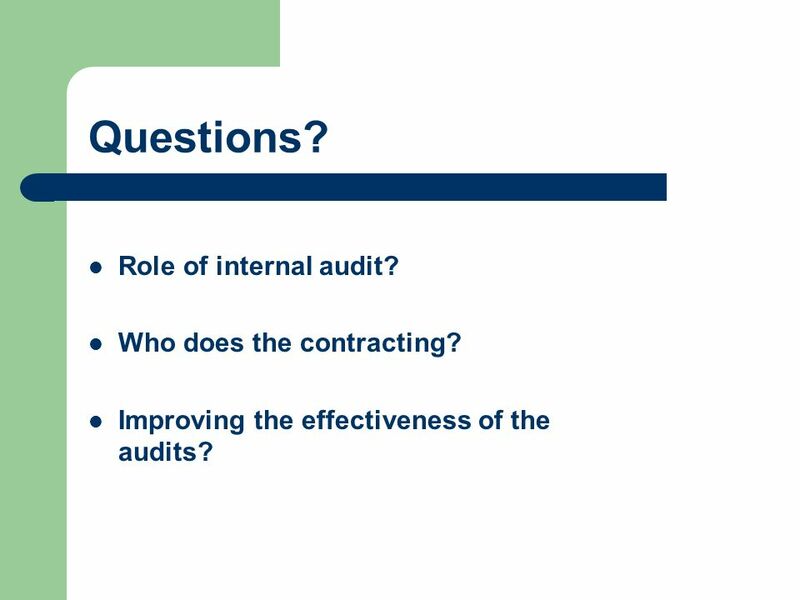 Role of internal audit? Who does the contracting? 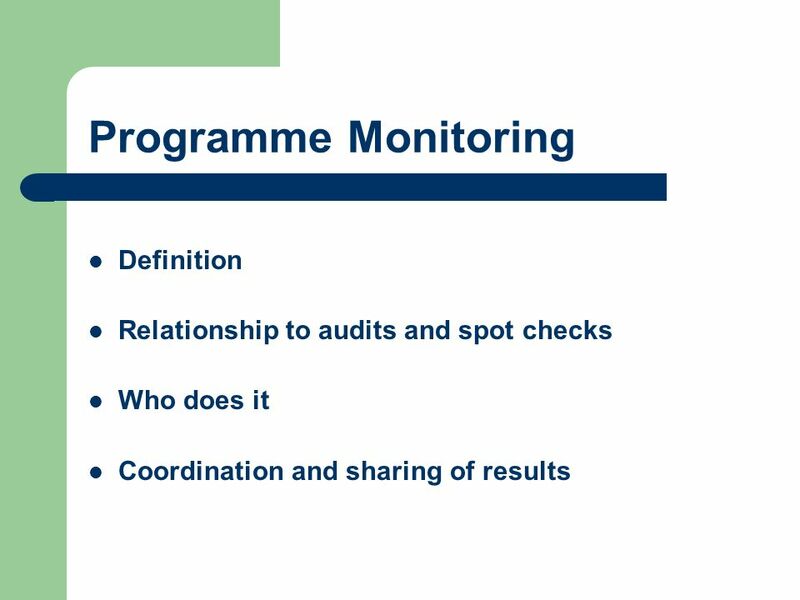 Improving the effectiveness of the audits? 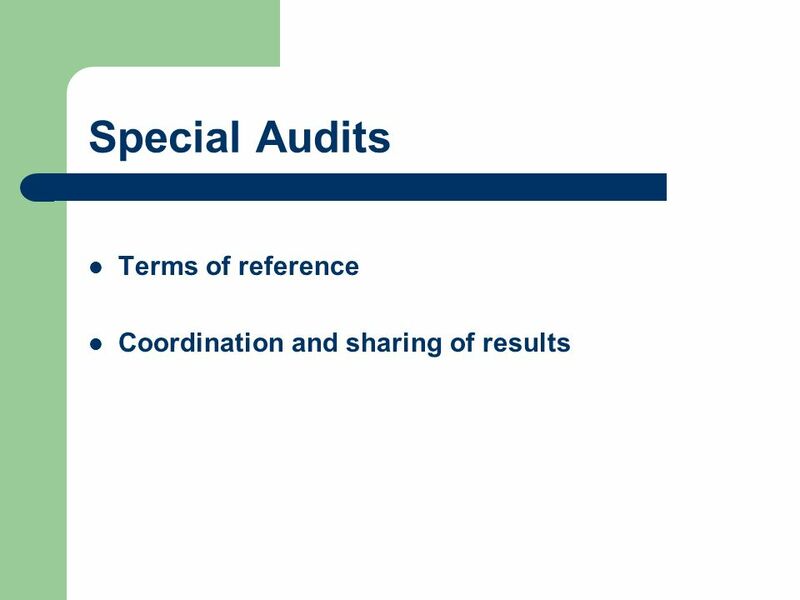 Download ppt "Audit. 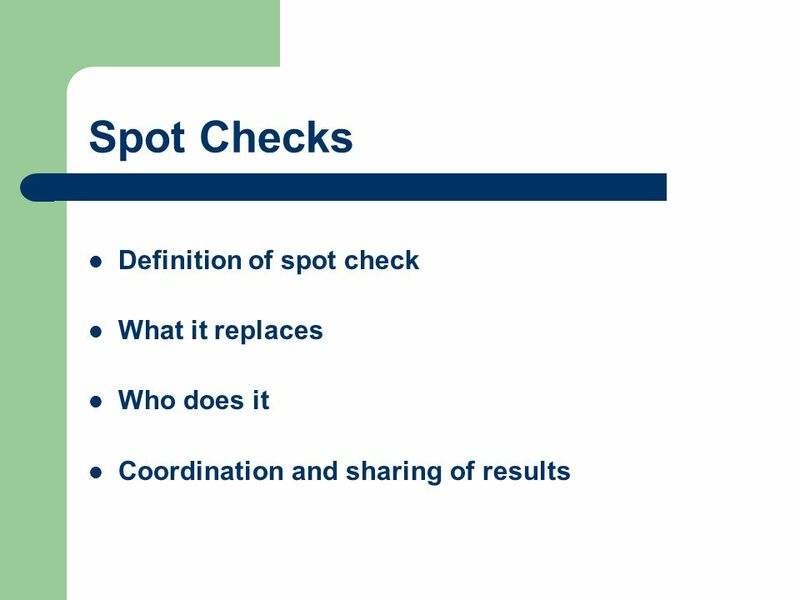 Types Scheduled Audits Programmatic Assurance >Field Monitoring, Annual Reviews Reviews of Partners Financial Records > Spot Checks > Special Audits." 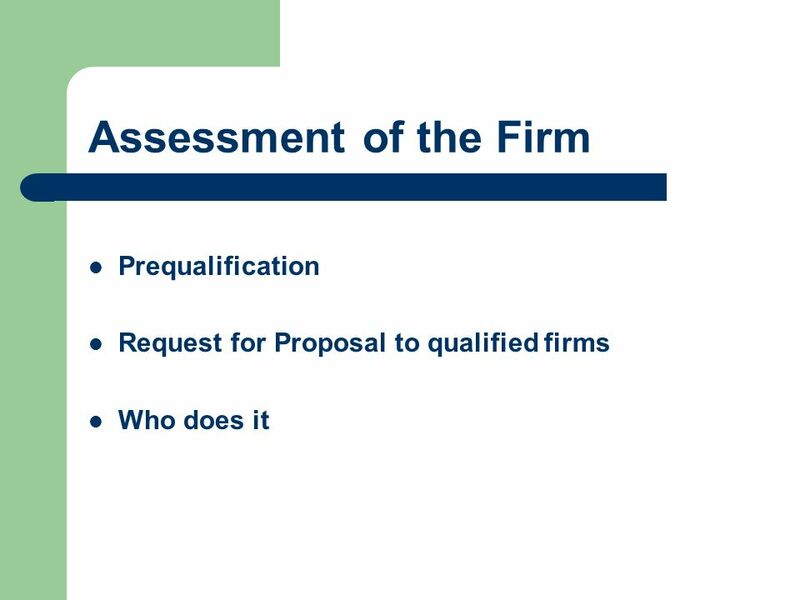 Session 9b: Next steps on financial management harmonization and alignment. Session 6: Harmonizing and Aligning Financial Management (FM) Arrangements. The harmonized Programming Process. The harmonized Country Programming Process CCA Agree on the key development challenges. Harmonized Approach to Cash Transfers to National Implementing Partners. Assurance. 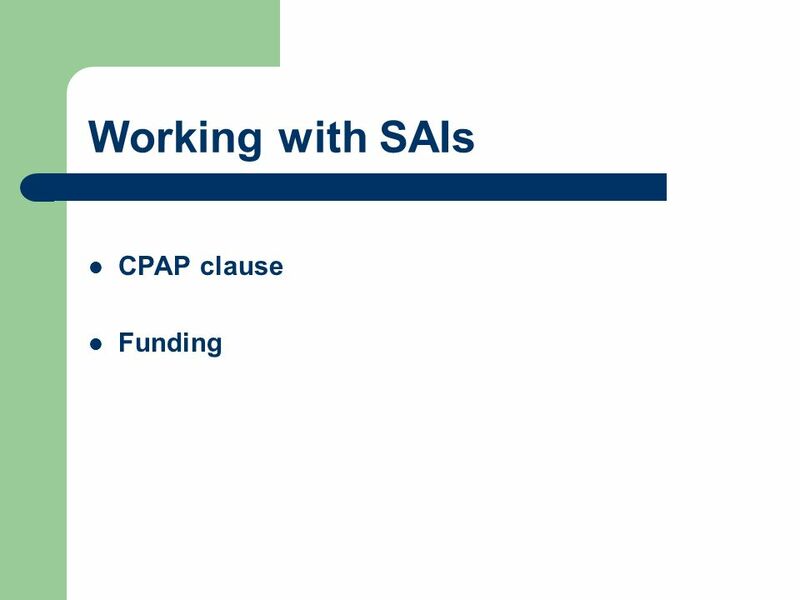 Assurance: What & Why? Awareness of partners internal controls and financial management practicesAwareness of partners internal controls and. Micro Assessment. 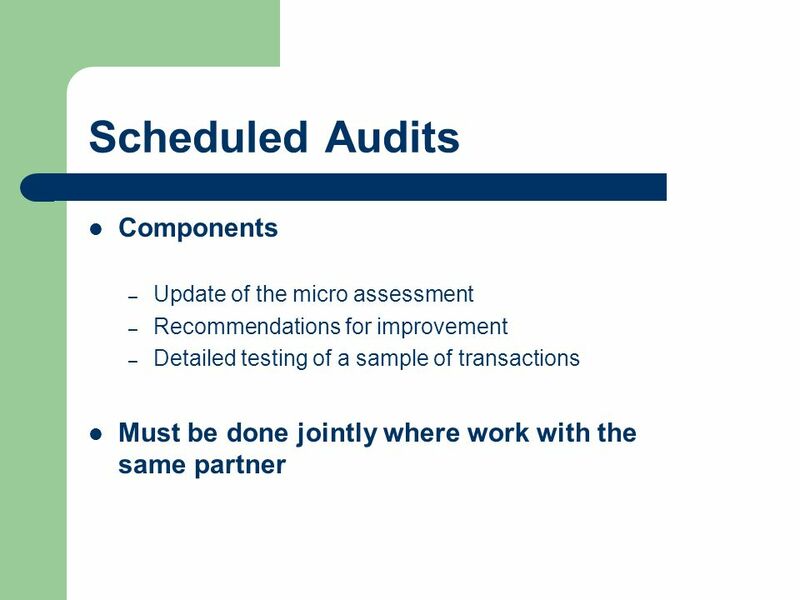 What is a Micro Assessment? An assessment of the adequacy of the implementing partners financial management systems and internal controlsAn. Harmonized Approach to Cash Transfers to Implementing Partners UNDG ExCom. Maintaining Assurance. What is assurance? Determination if expenditures were for purposes intended Awareness of Internal controls - each partners financial. A d d V Alue to public management Winding-up declaration Portuguese experience Carlos Trigacheiro Inspecção-Geral de Finanças (IGF) General Inspection. 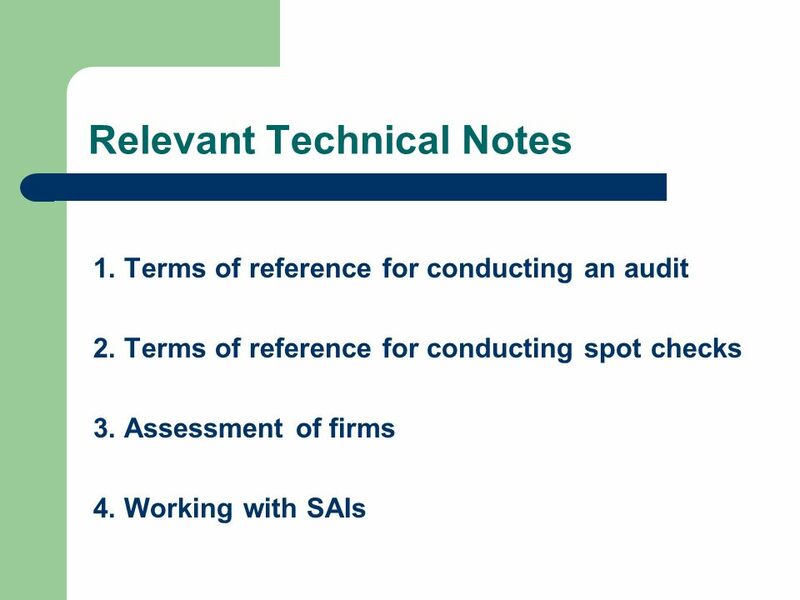 Technical Meeting Closure : Winding-up declaration Commission Audit Approach Mark Schelfhout DG EMPL/I/4. 1 NORTH CAROLINA COUNCIL OF INTERNAL AUDITING October 31, 2007. Working Group on Audit Chaired by Dagfinn Knutsen, Director, Internal Audit Division, OIOS, UN Secretariat Achievements for 2007. 12-May-151 Khan Younis Waste Water Treatment Plant Management Arrangements Khan Younis Waste Water Treatment Plant Management Arrangements. This project is funded with support from the European Commission " Legal disclaimer: the contents of this material is the sole responsibility of implementing. 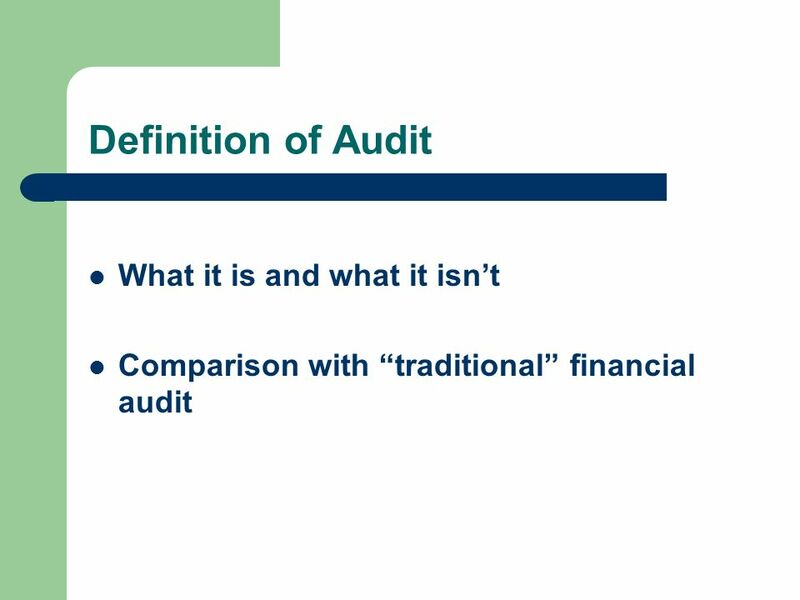 1 Assessment: Audits. 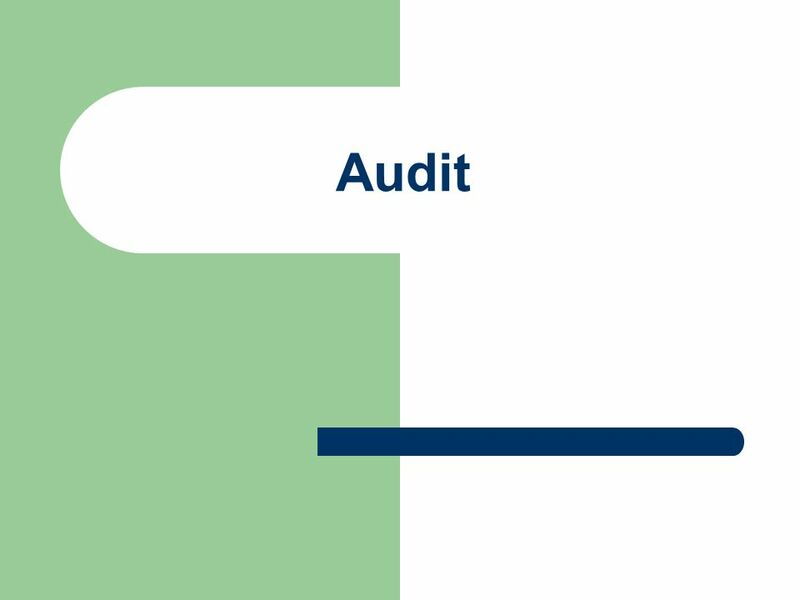 Assessment: Audits - Module 9 2 Learning Objectives At the end of this activity, you will be able to: Develop a process to prepare. Chapter 4 IDENTIFYING RISKS AND CONTROLS IN BUSINESS PROCESSES.